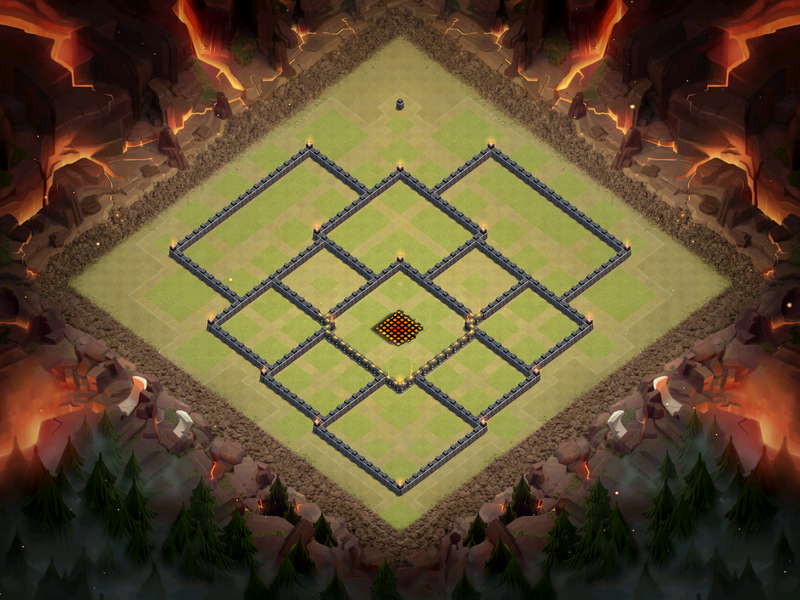 Finally, we are on to the best TH10 war base designs for October 2016 in Clash of Clans! These Town Hall 10 bases are some of the best in all of Clash of Clans and should be used to really stop some defenses from anti-three stars and anti-two stars. Like always, just take out pick of your favorite base and see how it holds up in a clan war! 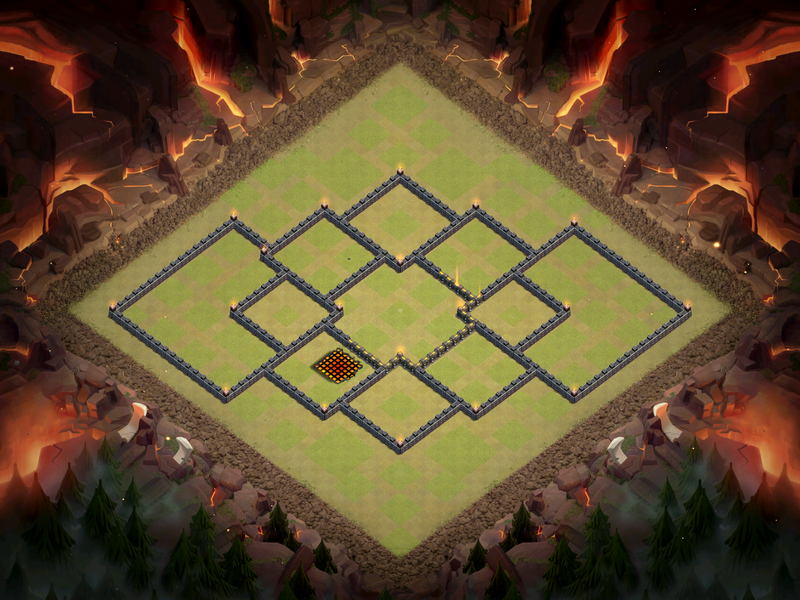 This TH10 war base is superb against the queen walk because of the major set backs behind the walls. The queen isn’t able to shoot 4 tiles away, so she would have to go through a wall in order to get to the next building. With the queen walk being so popular in Clash of Clans right now, this is certainly the base to have at Town Hall 10. Obviously, in Clash of Clans right now, Town Hall 11s are extremely overpowered, so you need to avoid the three star with a TH10 anti-three star base. The Town Hall is towards the outside, with the most important buildings that are needed to fight off a three star attack, are located in the middle of the base. 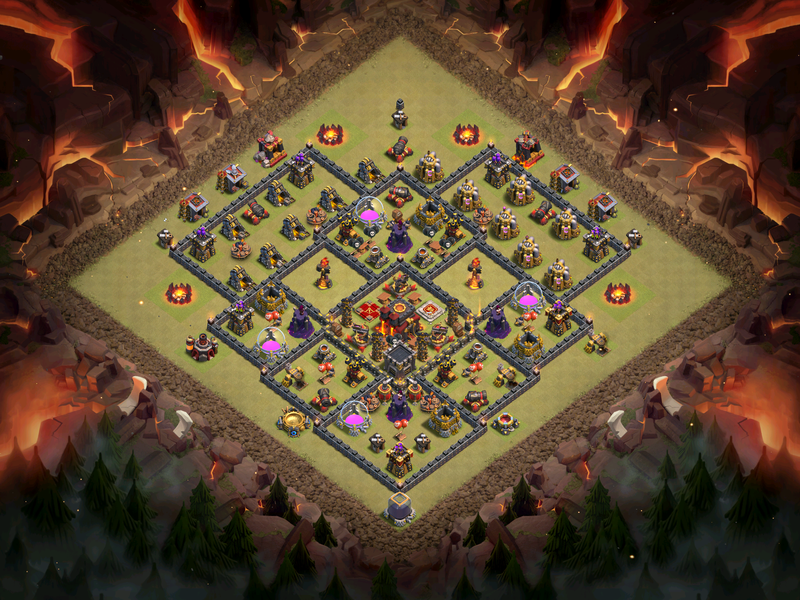 This is a great anti-three star Town Hall 10 base layout. 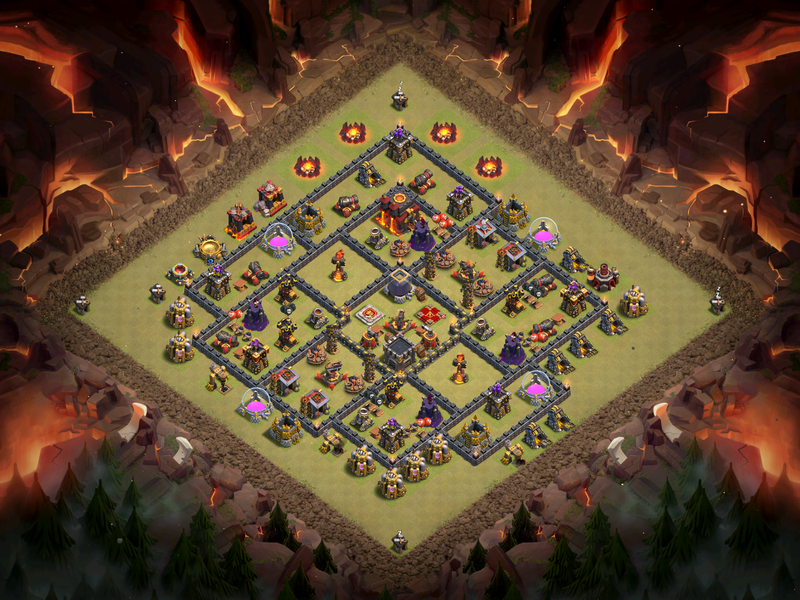 This is yet another great Town Hall 10 anti-three star base design in Clash of Clans. The x-bows and inferno towers are insanely protected behind 2 spaces. The overall spread out layout of the base makes it difficult to take it all out because it is so big. 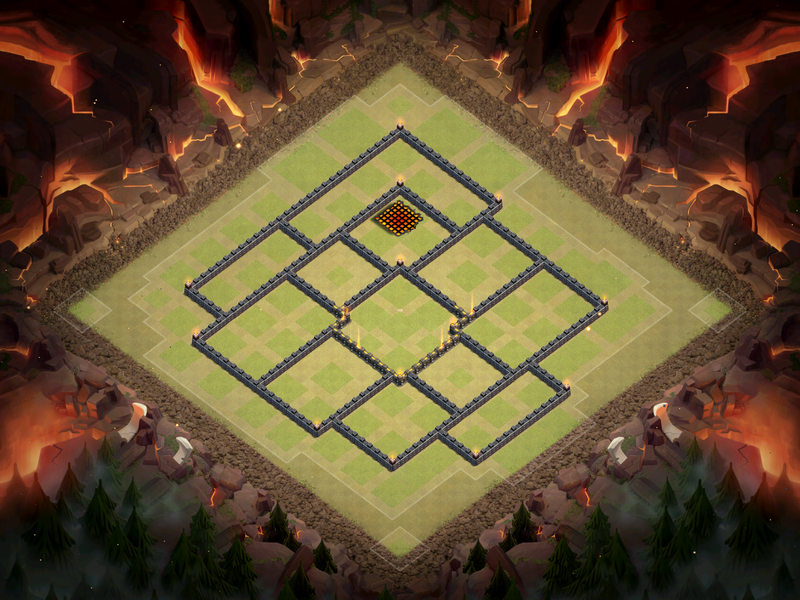 You need a centralized queen and clan castle, which is exactly what you have here for this base! Once again, if you want to see a farming base series for Clash of Clans, vote on the poll below! Thanks a ton for reading, and I will see you guys tomorrow with another sneak peek for the October 2016 Clash of Clans update! Thanks to brew for the background behind these TH10 war bases! 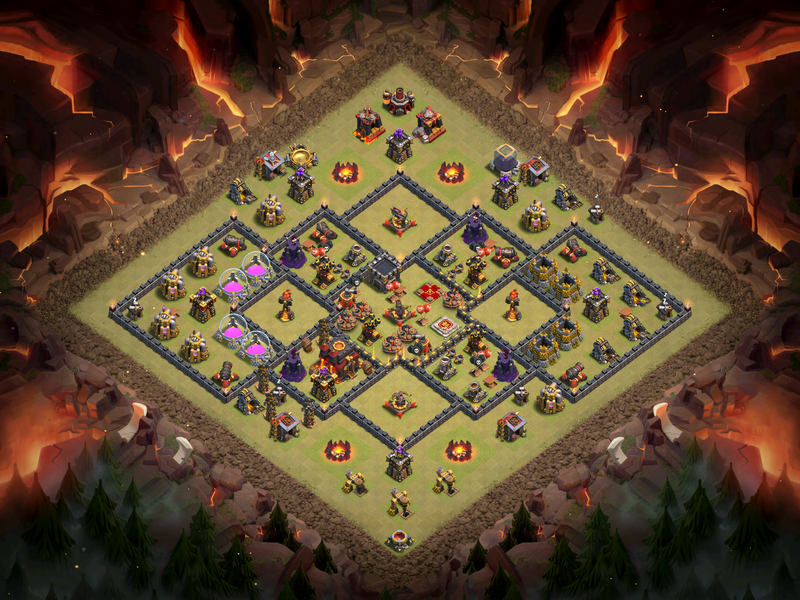 ← First Sneak Peek for Clash of Clans October Update: New Levels! Pingback: Best TH10 War Base Design for October 2016 | Clash of Clans Guide, Strategies, Tricks and More!